As Leeds United supporters, all we have ever asked is give 100% and you will be accepted by the fans. 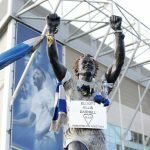 One of our players who departed Elland Road last year showed this. What Andy Hughes lacked in ability, he more than made up for with commitment. It was something that made him a huge fans favourite during his time with the club. To listen to the support inside Elland Road during the Southampton game and after showed just how much the fans appreciate those that are willing to work hard for Leeds United. In two weeks at Elland Road, we are already seeing the effect that Neil Warnock is making. He has enjoyed a 25-year career in management on the back of players who are willing to roll up their sleeves and fight for the shirt. What a difference a few weeks make. It doesn`t seem long ago that we walking away from the Ricoh Arena after seeing another abject performance against the bottom of the league Coventry City and coming away with no points. Against Southampton, we have once again come away with nothing but the feeling of optimism from the fans after dominating the league leaders is down to the work ethic shown by the players and what Warnock insists from his players. The fact he has won seven promotions with six different clubs up and down the football pyramid, shows that he can get the best out of whatever players he has worked with. The team playing, or not playing for previous manager Simon Grayson during November and December are suddenly working their socks off. The defence has been Leeds Achilles heel for a number of seasons. We have conceded goals for fun since our promotion to the championship but suddenly we are looking more of a unit at the back, although, it was still a defensive error that led to our downfall against Southampton. One of the main reasons we have looked more solid at the back is we at last have two central midfielders sat in front of them that are willing to throw themselves into everything for Leeds United. Adam Clayton started the season well but he has looked a lost soul in midfield in the last two months. He now looks rejuvenated under Warnock and his hard working displays against Portsmouth last week and again against Southampton have seen him back to his best. Michael Brown arrived in the summer and he looked like a 34 year old happy to pick up his last pay packet at Elland Road. In his first five months at Elland Road, all he had shown us was he can get booked and give the ball away. He enjoyed the best spell of his career with Warnock at Sheffield United and he now looks like a 24 year old after the arrival of his old boss. Brown along with Clayton have tackled, harried, broke up play and been creative in Warnock`s two games in charge. In his first three seasons at Elland Road, Luciano Becchio has been a firm favourite with the Leeds faithful. This season he has looked a shadow of that player. Some put it down to him missing the start of the season, but up to the departure of Grayson, he had still made over 20 appearances this season and he had been enjoying a run of starts in the side. Against Southampton, he looked back to his old self. Warnock said post-match after the Doncaster game that Becchio would not lose a header between now and the end of the season. He struggled against a big physical Portsmouth defence last week but against Southampton, he certainly put himself about and on another day he could have been walking away with the match ball. We have had so many false dawns in recent seasons. Just when we thought the side had got their act together, we couldn`t produce two performances in a row. I doubt we will see the side be allowed under Warnock to get away with giving anything less than 100%. Someone said recently that Warnock and Leeds was a marriage made in heaven. It certainly looks that way. We both want the same from the players. Hard work and the rewards will follow. Despite the defeat to Southampton, the performance was probably our best all round team performance since the famous FA Cup win at Manchester United in 2010. Warnock admitted after the game that he doubts the side can now catch those above them. Maybe this was just a smokescreen to allow the players to relax and go out and express themselves and if we can get six or more points from the next three games against Hull City, Middlesbrough and West Ham then who knows. The Warnock effect certainly seems to be taking affect in just two games. If it is not to be this season, I am already looking forward to next season. I few weeks ago, I wasn`t even looking forward to the next game. Let us just hope it is not another false dawn. Somehow, this time I think things will be different. The fastest growing Leeds United supporters club in the South of England, with over 200 members since its formation in April 2009, travel to all games home and away. The branch has pick up points at Basingstoke, Reading, Didcot, Abingdon, Oxford, Bicester and Banbury and will consider other pick up points on request. Vital Leeds offers everything that a Leeds United supporter could wish for. If you can think of something and suggest it, we`ll put it on the website! To visit the message board, click here. This website is your website and we are looking for people to help run the site. Do you go to most of the games and have an opinion? Why not write a match report? 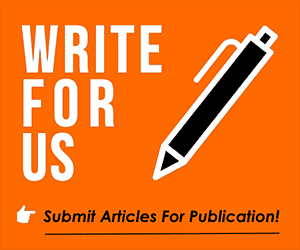 Perhaps you are a budding journalist or even just someone who is very opinionated? Well why not join our team? If this interests you please contact Vital Leeds . Vital Leeds is now available on both facebook and twitter, so if you are that way inclined and more importantly understand all this new fangled dangled stuff, feel free to watch us, poke us or whatever else you are meant to do there!